I sat down with the Wedding Sales team to give me the Innside scoop on the latest beach wedding trends, in five short questions. What is the average size of a beach wedding? Out with the big affairs and in with the intimate. The cozy setting of a sunset ceremony is coupled with a fun but intimate party with close friends and family. We’re seeing average weddings of under 100 people these days, when in the past, weddings were 300 to 500 of your closest friends! So give me the long and short of it. Are brides wearing traditional gowns or tea-length dresses on the beach? It’s a brides’ prerogative to wear what she wants on her wedding. We’re still seeing a lot of long dresses out on the beach. They’re not typically the heavy, “cupcake” dresses, but more flowing, soft gowns. A lot of brides are only on the beach for a short ceremony and photos. Then they come indoors to air conditioned rooms and evening temperatures. The trend now is to have two gowns — one for the ceremony and one for the reception. We see a lot of shorter dresses for the reception, once pictures have been taken. What’s the hottest beach wedding trend you’ve seen? We’ve seen a lot of “trash the dresses,” where the bride and groom stand in the ocean or bay and get a little wet and dirty. The photos are phenomenal, but you have to be in the moment to have this done, and you need to select a great photographer for the job. Any one of our preferred photographers would do a fantastic job. You’ve spoken a lot about intimate settings — is it possible to have a big bash at ‘Tween Waters Inn? Yes! We’re willing and able to modify any wedding package to fit a brides needs. We have the opportunity to host weddings in the on-property restaurant, Captiva House — a building rich with history and charm, which can hold up to 160. We’ve hosted larger weddings on the tennis courts under beautiful tents as well. Why choose to have your wedding at ‘Tween Waters Inn? Everybody’s wedding is unique, and at ‘Tween Waters Inn, we truly strive to cater to your vision. 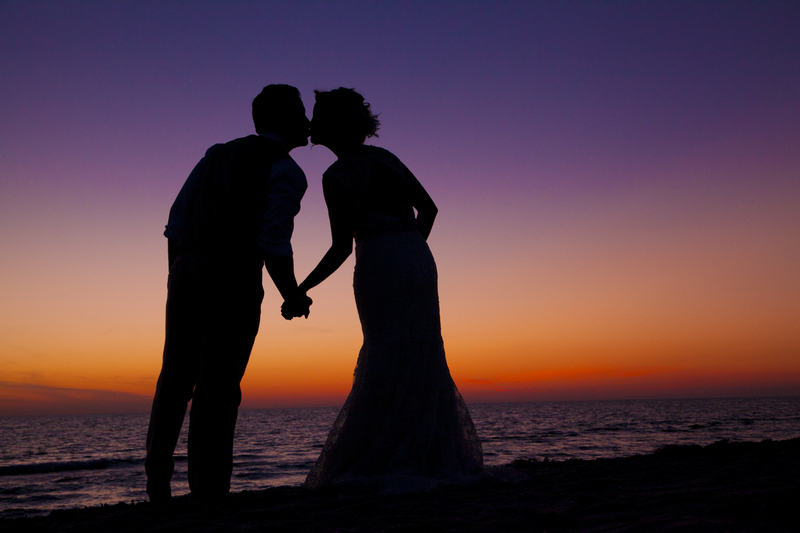 Our venue alone, set against the backdrop of a setting sun or gorgeous Gulf of Mexico, changes hourly, making for a unique wedding every time. If a bride dreams of a stunning beach wedding, they’ll find it here.